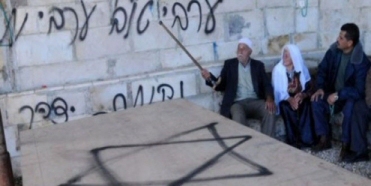 Israeli extremists, last night, spray-painted racist graffiti on the walls of ar-Rahma Islamic cemetery, outside Jerusalem’s Old City, according to local sources. 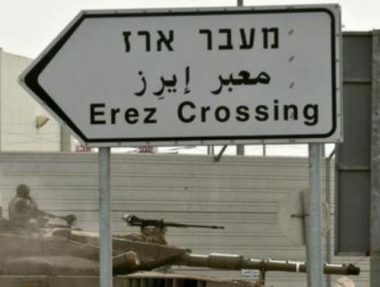 Shortly after Islamic Waqf personnel discovered the anti-Arab graffiti, the sources added that they attempted to remove it, but were prevented from continuing their work by Israeli police. Meanwhile, some 50 Palestinian women protested on Thursday morning at the gates leading to Al Aqsa Mosque, after they were denied entry to the holy site by Israeli police. Police earlier allowed Jewish fanatics to resume their provocative visits to the Islamic holy site. Violence by specific groups of illegal Jewish settlers is commonplace, WAFA reports. 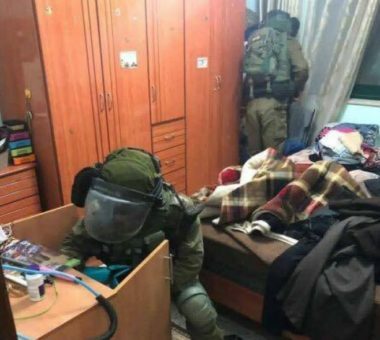 They have repeatedly attacked Palestinian property and worship places. 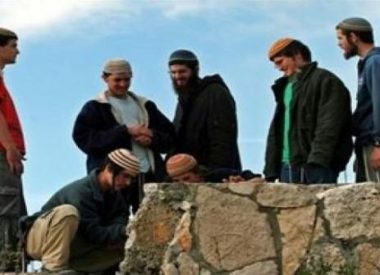 Settlers violence includes property and mosque arsons, stone-throwing, uprooting of crops and olive trees, attacks on vulnerable homes, among others. On July 31, a group of Jewish fanatics killed 18-month-old Ali Dawabsha and seriously injured his entire family, during a predawn arson attack which targeted two homes in the village of Douma, south of Nablus. The baby’s father, Sa’ad Dawabsheh, died of his wounds at an Israeli hospital about a week later, while his mother, Riham, 27, died of her wounds within a month after the incident.